Imagine you're five again. Someone places a blank piece of paper in front of you on a table covered with newspaper. Beside you is a white paper plate full of paint. You roll up your sleeves and prepare to compose your masterpiece. Dabble here. Splatter there. In about five minutes you are done and take your exquisite art around your classroom or home and show it to any potential art connoisseur you can find (careful of the dripping), because after all, no one has ever created anything like it. Proudly, your artwork is displayed on a bulletin board or refrigerator for the entire world to adore. You can’t help but smile every time you pass by. Years pass, and as you continue to sit at tables and have blank papers placed in front of you, you can’t help but grow nervous. I’m no good at drawing horses. I can’t figure out how to shade my tree. I’m horrible at watercolor. 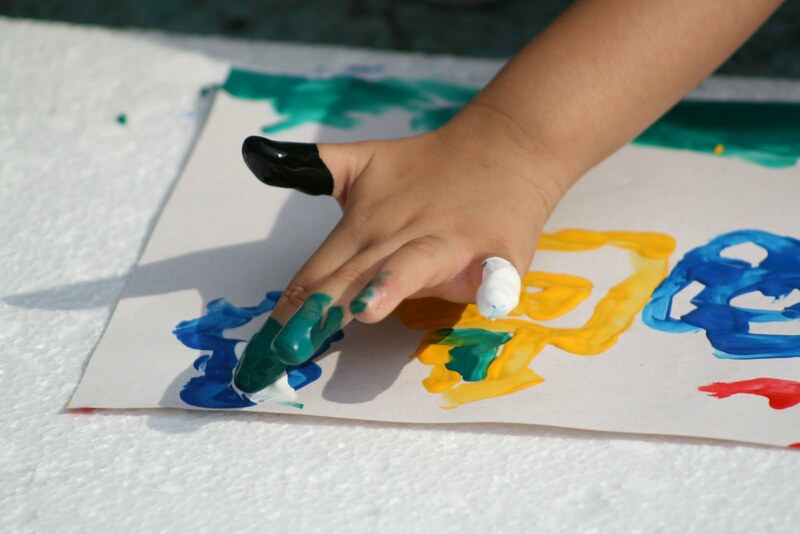 Somehow, age and the perceptions of others have begun to strip away that five-year-old freedom to just get your fingers messy and enjoy the process. Dreaming with God can bring up similar cautions. We can fear having the “right” kind of dreams, accomplishing everything on our dream list or even coming up with a dream that seems plausible in our life. Much like primary finger painting, dreaming with God is less about the outcome and more about the process. There are no right or wrong dreams, per se, and a dream list is not meant to be an outrageous “to do” list. It’s about sitting with Him and allowing Him to show you what’s going on inside you – what makes you smile, laugh, and love life. Here’s a great place to start dreaming with God: What did you love to do when you were a kid? What did you find fun without anyone telling you it should be fun? Take some time to dream with God about those things and how they might resurface or look different in your life now.